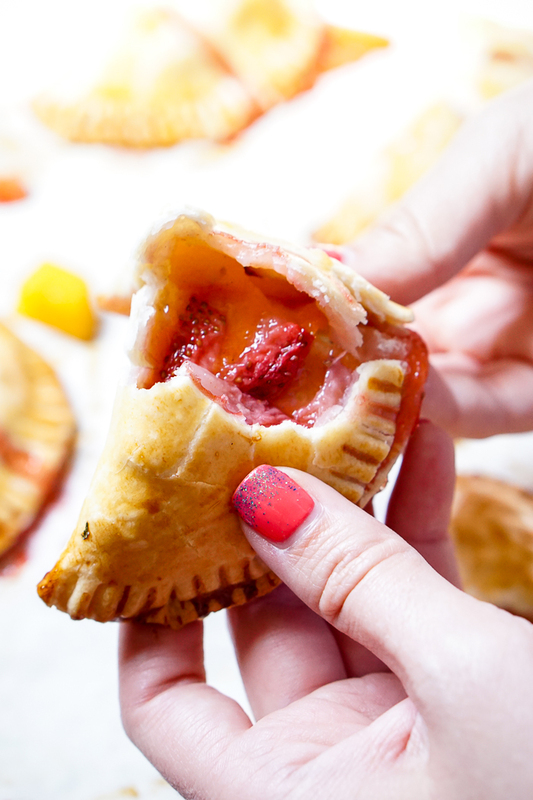 Strawberry Peach Hand Pies Recipe are fresh, tasty and easy to serve as party food! 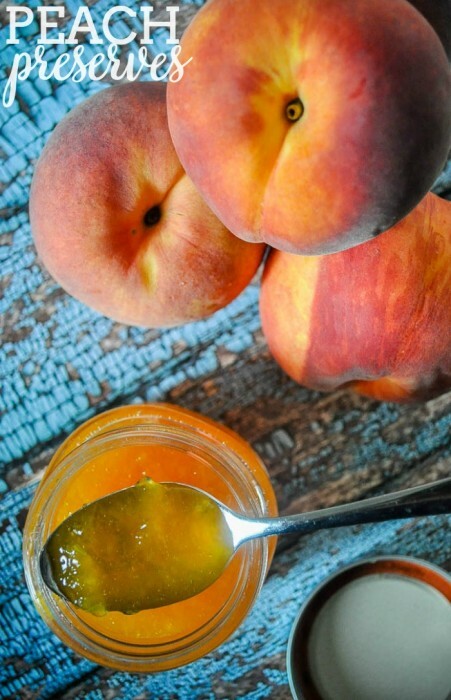 I will have to admit, I am a little obsessed with peach season! Which is a little strange because you will almost never find me eating a peach straight like you would almost any other fruit. I love baking with peaches though. They are juicy, fragrant and have just the right amount of sweet and tangy. At least that’s how I think of them. 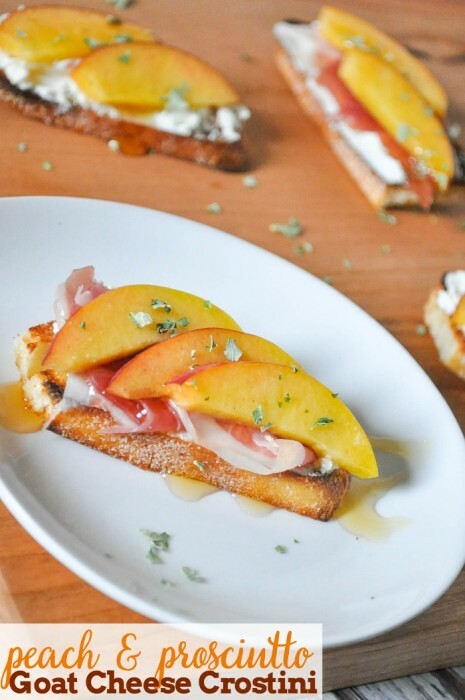 It’s hard to say anything other than peaches taste like peaches, don’t you think? 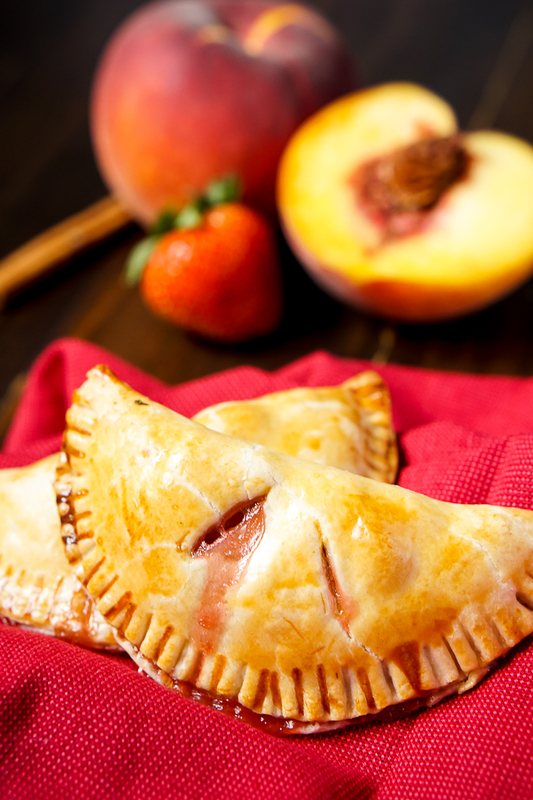 Strawberries add a little extra sweetness to the peaches which works so well in these Strawberry Peach Hand Pies with the amount of pie crust that comes with a hand pie. You want the filling to burst with flavor and a good touch of sweet. 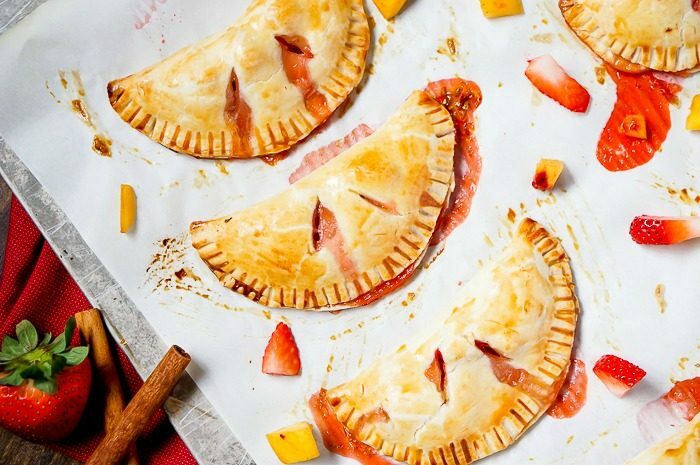 These Strawberry Peach Hand Pies work well for both summer and fall. I made a batch for Bryan’s work a couple weeks ago and they were immediately gone. So fast actually that Bryan regretted not sneaking one away in his office before sharing. I guess that means I need to make another batch soon! Place the diced peaches and strawberries in a large mixing bowl. Sprinkle with sugar and gently stir to combine. Cover the bowl with plastic wrap and set aside while you prep the pie crust. Remove the pie crusts from the refrigerator and allow it to rest 10-15 minutes. Lightly flour a clean work surface. Cut out as many 4" rounds as you can. Place the 4-inch rounds of dough on a large piece of parchment paper on a baking sheet. Go back to the peaches and strawberries. Add the cornstarch, cinnamon, lemon juice, and almond extract. Stir gently together. Beat one egg in a small bowl. Brush the egg mixture all over the pastry rounds. Place around 1 tablespoon of filling in the center of each pastry, leaving as much of the juice behind as possible. Pull up the dough to make the hand pie look like a taco and seal the edges. You can do this by pinching the top and bottom together and/or using a fork to gently press together. Cut a few small slits in the top to vent. Brush the tops of the hand pies with a little bit of the beaten egg. Bake or 30 minutes or until golden brown. Transfer hand pies to a wire rack to cool. Then enjoy! 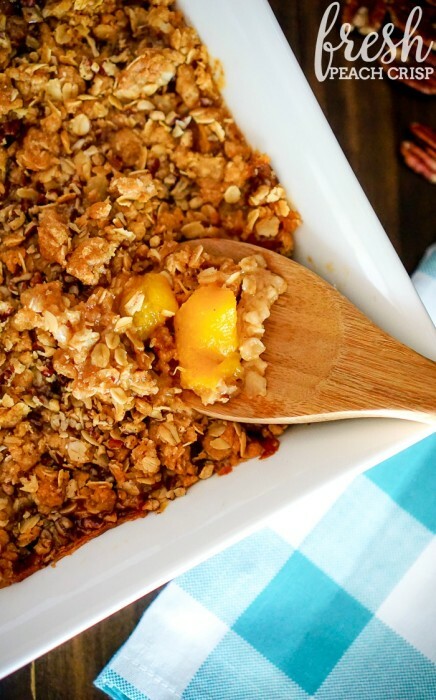 If you love cooking with peaches as much as I do, you might also enjoy my other peach recipes!